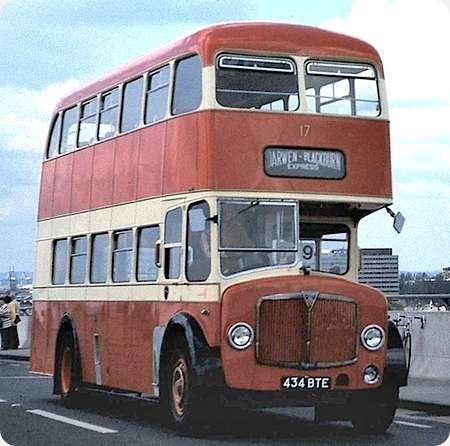 Darwen Corporation was well-known for buying buses which weren’t quite what they seemed, and 434 BTE is typical. "Ah! AEC Regent V with East Lancs body!" I hear. Sorry, folks. 434 BTE is in fact badged as a Crossley. This was something associated with the allocation of spaces at the Commercial Motor Shows. It is of the Regent V D3RV variety and the East Lancs body is of the H59RD layout. It is seen on Southampton’s Itchen Bridge in the first view, on 6 May 1979, while the close view of the radiator grille was taken in the museum at St Helens on 15 July 2012. A true classic municipal bus of the era. Everything just sits together so well. The shapely East Lancs bodywork matches the AEC design tin front so well and it is all topped off with a dignified livery. Darwen also had three Reliances which were similarly badged as Crossleys and also with East Lancs bodies. It looks rather narrow, was this bus 7ft.6ins wide? Yes Chris this bus is 7ft 6in wide. Darwen also had some similarly bodied Leyland PD2/31’s which were also 7ft 6in wide. The Regent V and PD2’s had an unusual sliding platform door to the rear platform which was an arrangement used also by Southdown. There was a hinged lower section which turned in to avoid the rear wheel as the door slid forward to open. 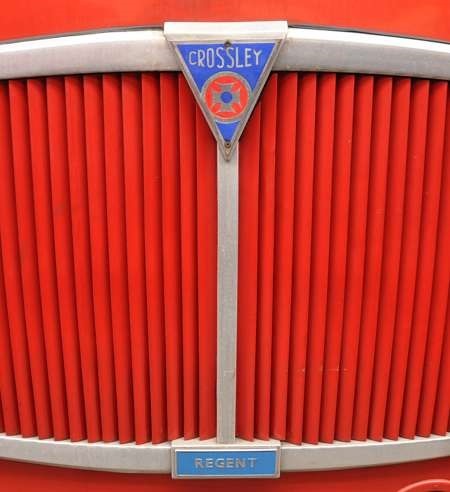 If you wanted a "genuine" Crossley Regent V then Liverpool Corporations A101-167 (SKB 101-167) of 1955 fitted the bill, as these had Crossley bodies. All went for scrap sadly. It was a bit odd for Crossley to show off this vehicle when they closed down a year after this bus was built.